When your coworker finds super cheap tickets to Dublin…..talking about $304 per person round trip….you can’t really say no to going abroad. Momma Mishappenings, my sister, The Engineer, and I all loaded up and flew over for a quick 4 day adventure in Dublin and the surrounding country side. We arrived in the city around 8am on Thursday, basically 20 hours after we boarded our first flight out of Minneapolis. After a very brief…..frankly too brief….power nap at our Airbnb, we ventured out into the city. Our house was down in Dublin 8, a quiet district a bit south of the downtown area and several of the popular destinations. It was sometimes nice to be a bit away from the hustle and bustle, but if you’re going to Dublin mostly to party and enjoy the bar area, I would stay closer to the River Liffy. I didn’t get a ton of photos taken the first day, I was mostly too tired to think to take any pictures. We did visit St. Patricks Cathedral as well as the original fortress of the city, Dublin Castle. The original castle was almost entirely destroyed in a fire, but they do have an interesting exhibit which allows you to see the ancient foundations. It was an odd fact to learn, but St. Patricks Cathedral was actually build outside of the walls that protected the medieval city of Dublin. There was a cathedral built inside of the city walls, but because of the supposed historical significance of a bubble spring well that St. Patrick might have used for baptisms, the second cathedral was built outside of the safety the walls could provide. Seems like a very risky thing to do when the threat of invasions and war is lurking every time people sailed up to your shores, but I guess they didn’t pick where St. Patrick chose to perform his baptisms. Also, they built the cathedral on top of some marshy river land. It means that there is not a crypt below the church, and also the walls of the church have shifted and bowed as the soft, wet ground moves beneath it. Another strange choice the way I see it, but the church has stood for hundreds of years so what do I know about it. The next morning we were well rested and headed off to tour the Guinness Brewery. It’s self guided and ends with beer and food, so you’re free to spend a few hours soaking up as much or as little information as you would like. The gravity bar at the top was very crowded and overly warm when we got up there….it was a surprisingly sunny day….but there are plenty of other places to explore and sip your pint in. Also, do yourself a favor and get a bag of the spicy chips….so spicy and savory! I need to find a reliable supplier of those chips in my life! The Guinness tastes different in Dublin. They say it tastes different everywhere in the world, but the best obviously can only be had in Dublin. I will drink a Guinness anytime anywhere, but The Engineer and Momma Mishappenings aren’t huge fans of the Guinness we can get here in the States. Even they liked the Guinness fresh from the source! It’s smoother, a bit easier to drink, and doesn’t have the bitterness people typically comment about. If you’ve only had Guinness at bars in the USA it can be hard to imagine spending a whole night powering down pints of the black stuff….I mean I’ve done it….but it’s defiantly a commitment. In Dublin, it’s so smooth and easy to drink it’s like drinking any basic lager here. We saw an Irish rainbow on the way to lunch and our visit to the other medieval cathedral in town! We stopped in a small chip shop near the cathedral and had a nice alfresco lunch of fish and chips in the cathedral yard. Note to your American taste buds…when they ask if you want salt and vinegar on your fish and chips, maybe request extra salt! Also, as you widdle down the huge filet and the mass of chips that come wrapped in newspaper….hold on to the paper. One brisk wind gust might send the whole thing flying off your lap as you consume the deliciousness! Christ Church Cathedral was built inside of the original city walls, and is just down the street from Dublin Castle. Speaking of streets, Dublin streets are a bit confusing as they don’t form blocks at all. You often have to walk out of the way of where you want to go because nothing connects! Apparently they follow the original streets and paths of the medieval city, but I can’t imagine how people drive and live in them now. The crypt of Christ Church is open to visitors, although it was under renovation during our visit so it was a little crowded. Also, their restroom was out of commission which lead us to run across the street and break into the fancy hotel bathroom! Much like St. Patrick’s Cathedral, the walls of Christ Church have a slight visible bend to them. This was caused in part by the collapse of one side of the cathedral in 1562. Much of the cathedral was destroyed in the collapse, but they do have one small area of original tile flooring that was saved. That isn’t what is pictured, the original tiles are very worn and weathered, and had almost no color left. Replica tiles now align the floor of both historic cathedrals. Both cathedrals were preserved and renovated with the donation of millions of dollars earned from alcohol! The Guinness family and and another prominent whiskey distiller in the area took the restorations of the cathedrals into their own hands in the 1800’s. It’s a shame to know that such gorgeous historical places could have been allowed to fall into such disrepair over the years, but I think that is just the way of history. Often times things teeter on the edge of disappearing forever before people realize their importance. Fish and chips kinda view. Notice the slight sway in the walls?! Jameson is one of The Engineer’s favorite, so I took him on an early Valentine’s Day date night to a special tasting at the distillery while Momma MisHappenings and my sister hit up the shopping on Grafton Street. We met for dinner at a pub I found through Instagram called the Hairy Lemon. It was small, crowded, and loud….but in a good way. The downstairs was just seating for dinner, but upstairs was just standing crowds of people drinking pints and having a Friday night at a pub. I had coddle, which is a traditional veggie and sausage stew. Momma had bangers and mash….hold the mash add extra roasted veggies. My Sis had fish and chips…..for the second time that day….but it was her birthday so that’s allowed!! The Engineer had shepherd’s pie which he informed me was better mine. Saturday we headed back to Jameson Distillery to take the “official” tour as a family. Nothing like a bit of morning whiskey drinking to bring a family together! After some whiskey sampling and sipping we headed for lunch. Along the way we stopped in an area that started out a Georgian mansions, and eventually transitioned into tenement housing until almost 1980. It’s sometimes easy to forget that most of Ireland’s history has been tumultuous. We also like to think of European countries as these old, well established countries. Ireland is relatively new, having only gained their independence in the 1920’s. While we were looking at the large, brick homes that became tenements, The Engineer and I had a nice chat with a local man. He thought a car near us that was booted belonged to us and we stopped on the side of the road to bust it off for us. He showed us his busting tools, and told us all about his previous car troubles and gave us a citizens view of the Irish economy…..it wasn’t a good view to be honest. He’d let the cops take his previous car because he owed taxes on it, but he had only paid 300 Euro to begin with for the car. It was also alarming to find out that parking can cost nearly 3 Euro an hour….no wonder cars and parking were such a hot issue for him. It was an entertaining chat for sure! Lunch was at Nando’s, a chain chicken restaurant, and if you’re ever near one I would definitely recommend it! I mostly wanted to go because I watch some trashy, English reality TV shows, and they are always talking about going to Nando’s. 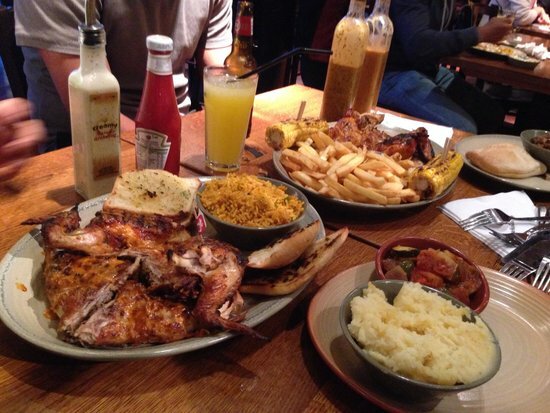 Also, I think there is some lingering debates about whether or not its acceptable to take a date to Nando’s….I vote yes! Get your girl some spicy chicken and some sweet potato fries! 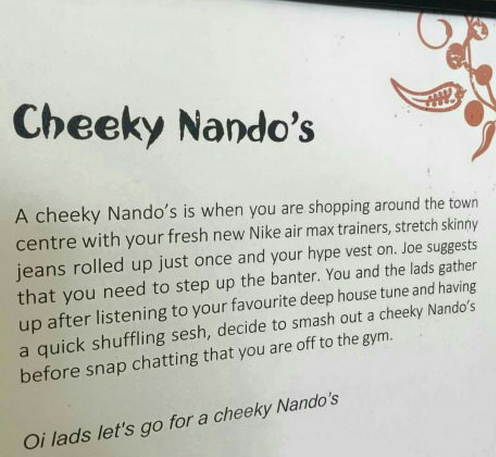 Seriously….go grab yourself a cheeky Nando’s! After lunch we wandered down to Trinity College to see the library and the Book of Kells. The Book of Kells is a spectacular ancient book containing the 4 gospel books of the bible. It’s hard to describe if you aren’t there to see it in person. 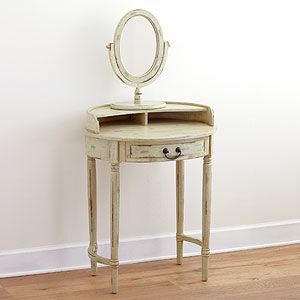 The fact that it is preserved in the condition it is even after being stolen and lost in the bogs for years is amazing. The long library….it’s amazing! It’s the way you imagine all college libraries should be. It’s volumes and volumes of books and knowledge lined up all neat and tidy and just waiting for you to dig in an discover something. It looks like it should just be a movie set, but this is an actual working library….on an actual college campus! If it doesn’t look like the library at your college, don’t feel bad…..mine looked nothing like it either! Maybe only the ancient libraries of Europe are allowed to look this good. Sunday morning we boarded a tour bus and headed out into the countryside. We met farmers, sheep, and walked through the ruins of a church that stopped being used in 1214! It had gone through it’s life all before 1214!! That just amazes me. I love being American, but there is just something so impressive about the history that surrounds you in Europe that nothing in America will ever match. It’s the deep, robust, slow cooked kind of history you just can’t find over here in the New World! First stop was to see a farmer named Rich and his herding dog Bruce. We learned a bit about the traditional way he and his family have been raising sheep in the mountains for generations. There were even a few early lambs for cuddling! After a visit will the lambs and an impressive herding demo from Bruce, we were off to the ancient monastic site and lakes of Glendalough. I’m not sure if Glendalough is technically a town anymore, but at one time it was a thriving center of religion nestled in a valley abutting the Wicklow mountains. Our guide pointed out several churches around the area, I think she said there were 6 or 7 in the immediate area. All are in ruins, although the largest one, the Cathedral of St. Peter and St. Paul, is mostly intact except for it’s roof. It was built in the 10th century and abandoned in 1214 because of the Norman invasion. Instead of being sprinkled around the countryside, religious leaders of the time were called back to the safety of Dublin….remember the wall around the city?! There are two lakes near the monastic site, the Upper and Lower lake. To be honest, the Lower lake isn’t much to write home about. Actually it took me a while to even realize we were walking past the Lower lake. The Upper lake was amazing though, and totally worth the cold, windy hike. A word to the wise about traveling to Ireland. Even though the temperature might be projected to be in the mid to upper 40’s, you’ll need to pack like it’s a Midwest winter. I packed jackets and my raincoat, the things I would wear when it’s 50ish degrees here at home. While I was there I ended up buying mittens, an additional sweatshirt, and a scarf. Granted, I would have bought those things anyway, but it certainly helped with the temperature and wind. Our last stop on the bus tour was Kilkenny. We had a cozy pub lunch next to a crackling fire, watched a rugby game with some locals, and saw the historic Smithwick’s brewery. Turns out we know nothing about rugby…even when trying to google the rules, but no one in the pub really seemed to notice or mind. Kilkenny is also home to a massive castle and it’s expansive ground. Thousands of acres belong to Kilkenny castle and the surrounding grounds. The castle itself looks almost modern from the outside, and served as a private residence for most of it’s existence. The carriage house and grounds across the street from the main castle have been converted into cute little shops and a restaurant. It was an impressive end to a day spent winding around small country roads watching sheep graze on hills in the distance. Monday morning we said a very early morning goodbye to our lovely little Airbnb and took our final double decker bus ride back to the airport. For being a short trip, I feel like we really got in some activities. Granted, there are dozens of additional things to see and do in Dublin, but you can’t do everything and I feel like we got a good sampling of the city and surrounding countryside. Since we’ve gotten home everyone has been asking if it was a good trip. I think it was, and I’m glad we went but I’m not sure I would return specifically to Dublin. It gave me a bit of the same impression I had when we went to New Orleans. I enjoyed it while I was there, but the reality of French Quarter doesn’t really live up to what you imagine it will be like. Dublin felt a bit the same to me. It was nice, we saw some lovely things, and had great experiences, but I had a much different idea of the city before I went. In my mind it had always seemed more quaint….less like the bustling metropolis that it is in real life. If I go to Ireland again, which I wouldn’t turn down a few years in the future, I would like to adventure over to the other side of the island to see the cliffs and the small surrounding villages. Try something a little less city and a bit more country!